Please leave your Dance Walk photo submissions using the upload button below. They will then appear in the gallery. Thanks! We want to see YOUR Dance Walk photos! What is a Dance Walk? 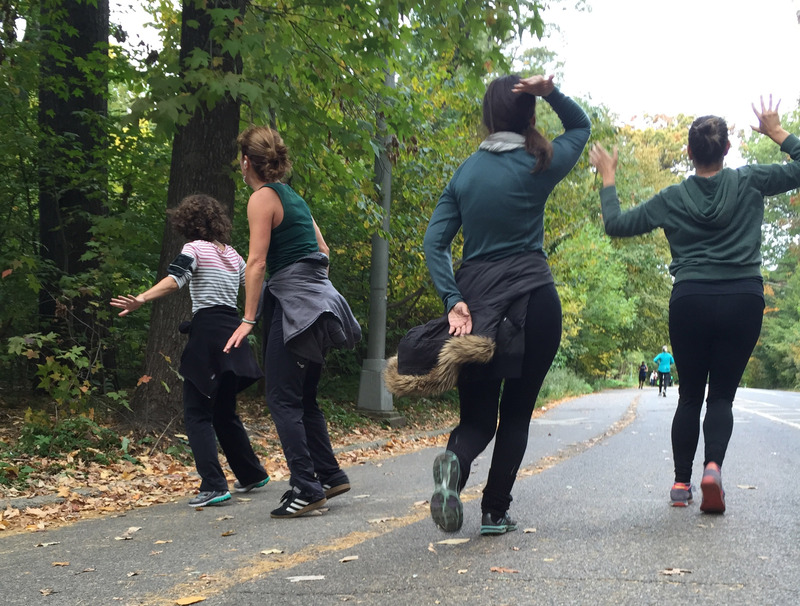 “Dance Walking” is an outdoor workout–an improvised form of walking, with music, doing whatever movement comes naturally. It’s walking and moving your arms. Or skipping, skitching, low-stepping, sideways running. It’s responding to the rhythm, attitude, or story of the music you’re hearing. 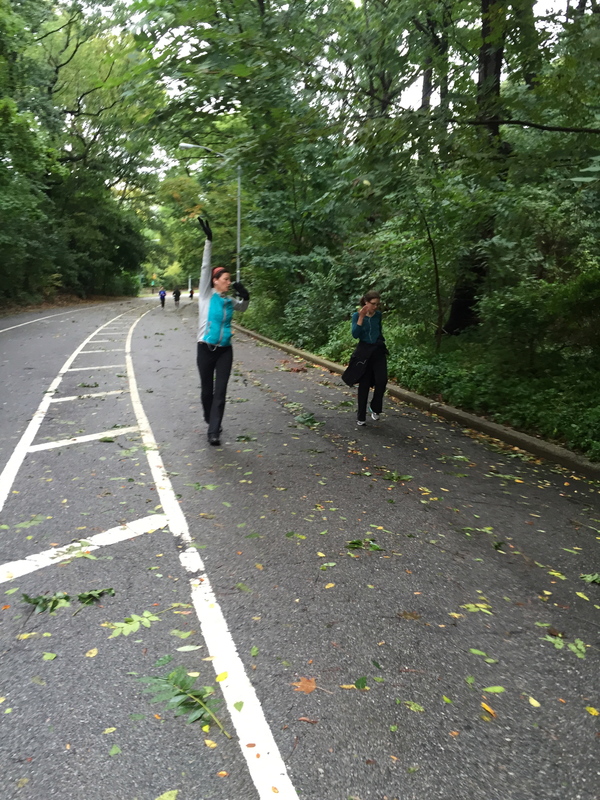 In short, it’s having a dance party in your living room, while walking through the park–hilarious and exhilarating. Because Dance Walk is about the joy of moving to music, music is key! Everybody gets their rocks off to different music, so we don’t share a single soundtrack or playlist. We each bring an iPod & earbuds, and listen to our own tunes as we dance walk. The right Dance Walk music : a) ignites the body, b) serves as the engine that drives you, and c) becomes a score that you inhabit and conduct. A word to the shy, self-conscious, and judgy: You will have the MOST fun of all. Once you’re warm and hit a musical flow, negative mental static falls away. Movement comes easily and music fuels the motion. 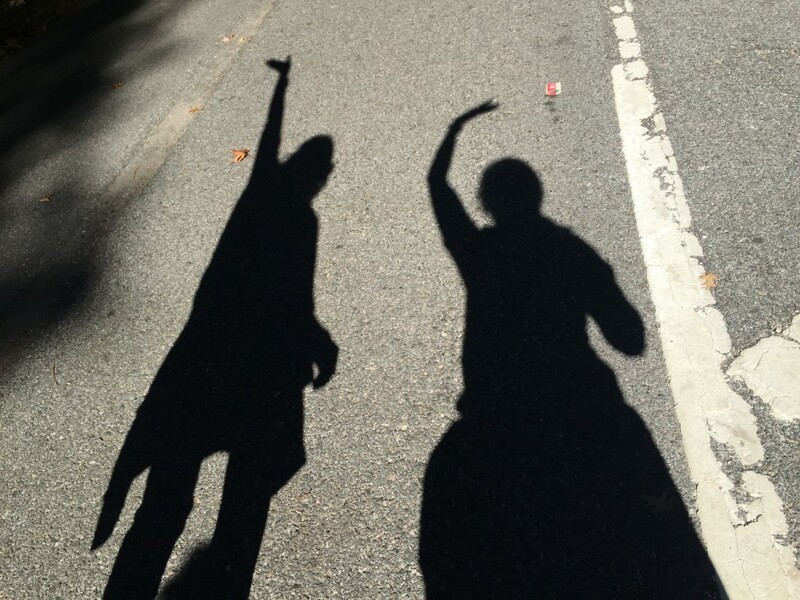 Take it from a deeply self-conscious person, Dance Walk is a profoundly joyful liberation. Figure out a location for your Dance Walk. Pick a place with a clear and defined path, no more than 3.5 miles. You will be “leading” the Dance Walk, but people tend to spread out during the walk, so it’s good if people know the course independently. A place with nice scenery is especially motivating–a park the perfect backdrop. If it’s hot, make sure there are water breaks, and a restroom marker about half or three-quarters around your walk. 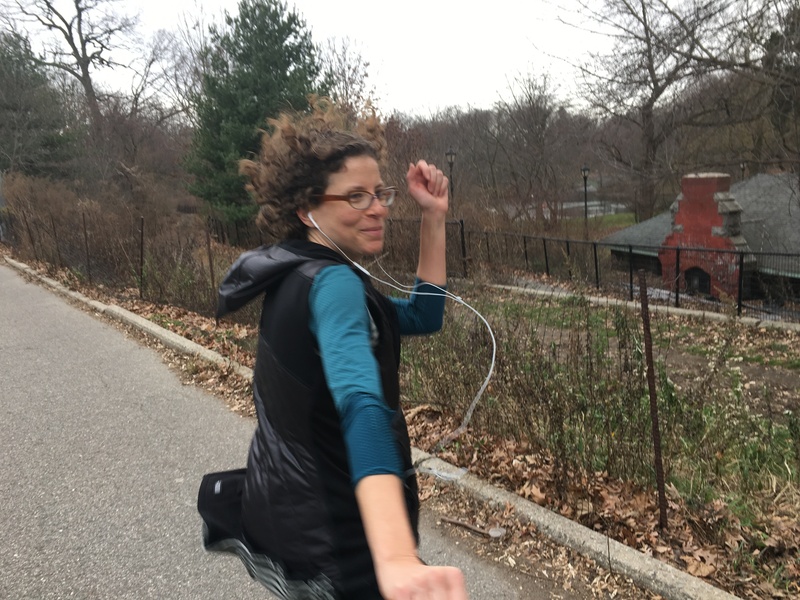 Set up a meet-up like I have for the Dance Walk in Brooklyn: http://www.meetup.com/Prospect-Park-Brooklyn-Dance-Walk/ OR simply pick a date, time, and location and post your Dance Walk on Facebook or in flyers in your neighborhood. Make sure it’s easy to find the group. Write a description of your walk, and let people know to dress lightly and come hands-free for maximal range of motion. 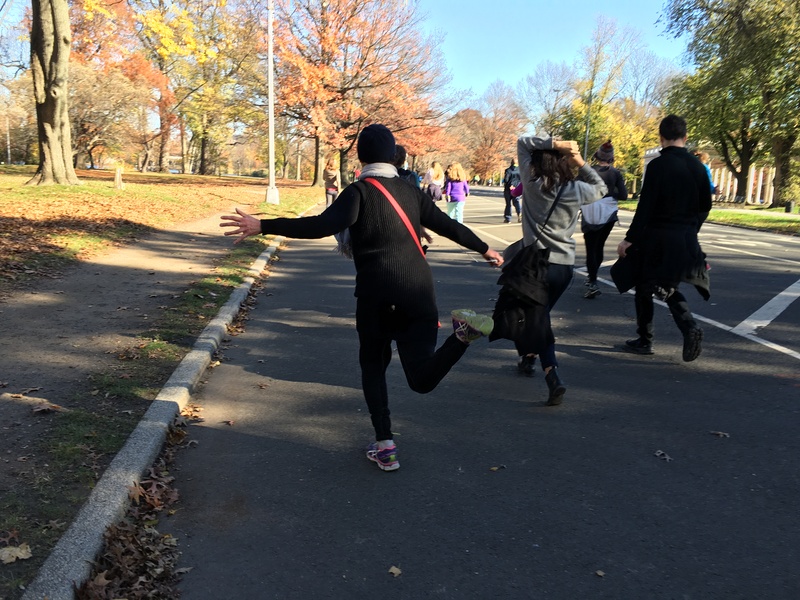 The walk builds heat—it’s a workout! 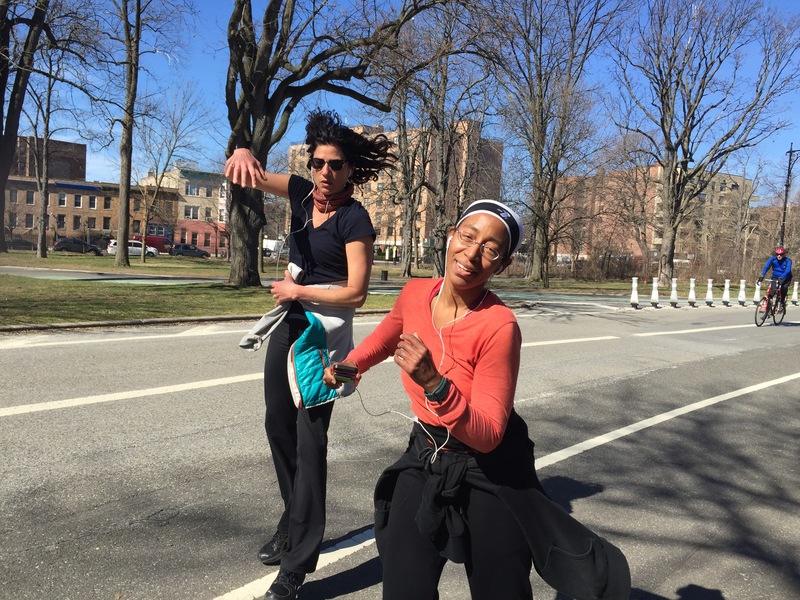 At the top of the walk, remind folks that Dance Walk is about finding flow. Music is really important for that. They need to connect with music that fires up the body and inspires. If a song comes on that doesn’t work, skip it and go to the next. A good jam will generate heat. Heat melts away mind and thoughts and judgments. Some people start off feeling v self-conscious. Others don’t give a hoot. Make sure folks know that Dance Walk is a practice. It is not performative or exhibitionistic. It’s about connecting, listening and moving. Tell people to stay mindful of the group. If folks get far ahead, they should wait or run back. Folks behind sometimes need to move a little faster to catch-up. Have everybody cue up a song they like before you officially start. This way, everybody has a good first song to start. Take pictures along the way to post on your meet-up or Facebook page. Meet at the end to close it up, share and de-brief the experience.